Google’s managing director for South East Asia and India Rajan Anandan told The Economic Times in an interview that the company is in talks with local telecom service providers to pilot Project Loon, its program to beam internet access from balloons floating thousands of feet up in the air. We’ve known for a couple of years now that Google planned to bring its moonshot initiative to the country. In December 2014, the company met with government authorities to address potential issues concerning Loon transmissions interfering with cellular networks and to look into ways to work with existing telecom firms. Last December, Sundar Pichai reiterated how important the Indian market was for Google and cited Project Loon as well as a program to bring free Wi-Fi to 400 railway stations across the country. The first of these went online in January and 99 more are expected to get connected by the end of 2016. It’s worth noting that Google hasn’t claimed that Loon will provide internet access for free. However, it will solve the problem of bringing connectivity to rural populations and those who live in far-flung areas, where installing terrestrial networks proves difficult. 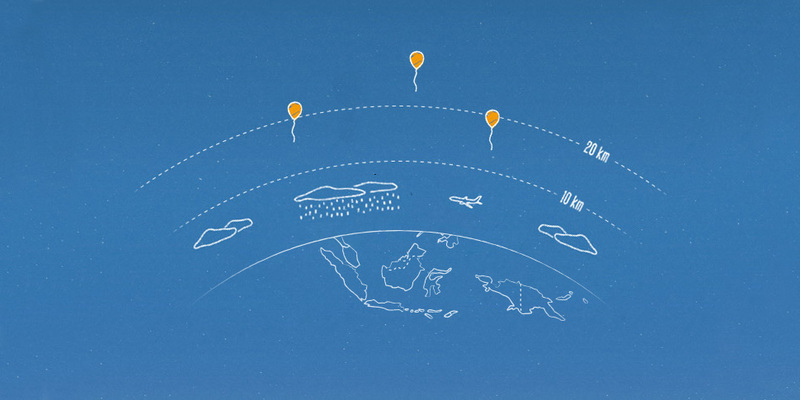 Anandan said that the government has been “very supportive” of Project Loon. That’s not surprising, given that India still has 1 billion who are yet to be connected to the Web, according to McKinsey & Co. However, he declined to name the telecom companies that Google is in talks with concerning the trial program. It’ll be interesting to see how soon Google can begin to offer its balloon-powered internet across the nation and how it will monetize its offering. Zero-rating services that favor select sites and content are not an option, as the Telecom Regulatory Authority of India banned them last month and effectively forced Facebook to shutter its Free Basics initiative in the country. Google will have to figure out ways to educate millions of Indians who have never been online about its new service and also offer it at an affordable price. Local partnerships could help in those respects, but it will no doubt face a challenge in communicating the value of internet access to people who haven’t tried it before. The company began technical trials of Project Loon balloons in Sri Lanka last month and is set to launch tests in Indonesia this year too.